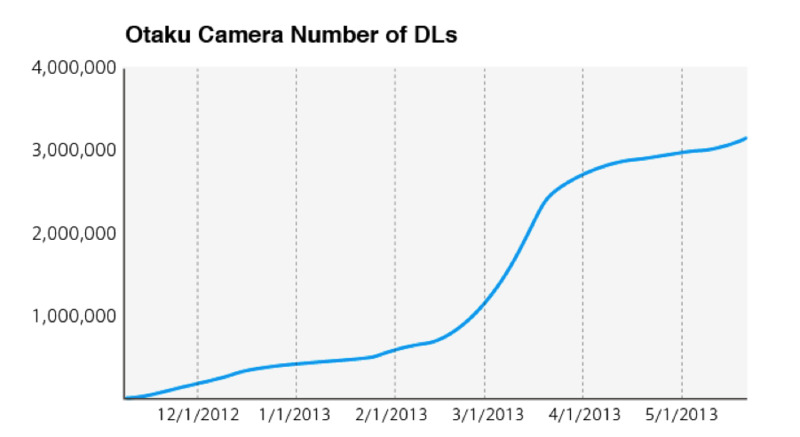 Otaku Camera Has Reached Over 3 Million Downloads Worldwide! TOKYO – Tokyo Otaku Mode Inc. (TOM) announced that its smartphone app Otaku Camera has reached over 3 million* downloads as of May 2013. 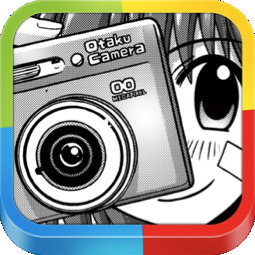 Otaku Camera is a camera app for smartphones that launched for iOS in November 2012 and for Android™ in December 2012. It has ranked high in smartphone camera app reviews around the world. Currently, over 90% of the app’s users reside outside of Japan, showing a strong popularity particularly in the U.S., Taiwan, Thailand, and Mexico. Through its app, TOM continues to create new ways for the world to enjoy Japan’s otaku content, with many more anime, manga, and popular character frame collaborations expected in the future. Otaku Camera is an iOS and Android app that allows users to mangatize any pictures from their mobile devices. With over 100* different frames to choose from, users are able to create one of a kind, manga-style works of art from a wide range of photographic subjects including people, objects, and scenery. The interface also allows users to effortlessly shoot and create manga-style pictures using either the front or back camera on their mobile devices. Additionally, users can also mangatize any pictures already stored in their mobile devices. Photos created with Otaku Camera can be easily enjoyed with friends and family by instantly sharing them on social sites such as Facebook and Twitter, or by saving them to their device. Tokyo Otaku Mode™ (TOM) is a worldwide distributor of otaku content, including anime, manga, cosplay, and otaku entertainment news. Owned and managed by Tokyo Otaku Mode Inc., which was incorporated in Delaware, U.S. in April 2012 by President and CEO Tomo Kamei, TOM has operated its Facebook page (https://www.facebook.com/tokyootakumode) since March 2011. In just two years since its launch, TOM has accumulated over 12 million* likes on Facebook, becoming the largest Facebook page operated by a Japanese company. Currently, 99% of its fanbase reside outside of Japan, with fans particularly increasing in Asia. TOM also launched its own website, Tokyo Otaku Mode (http://otakumode.com), in 2012. The website offers otaku entertainment news articles in English and a user-generated content (UGC) platform, which TOM subscribers can upload their own self-created otaku artwork, cosplay photos, and more.